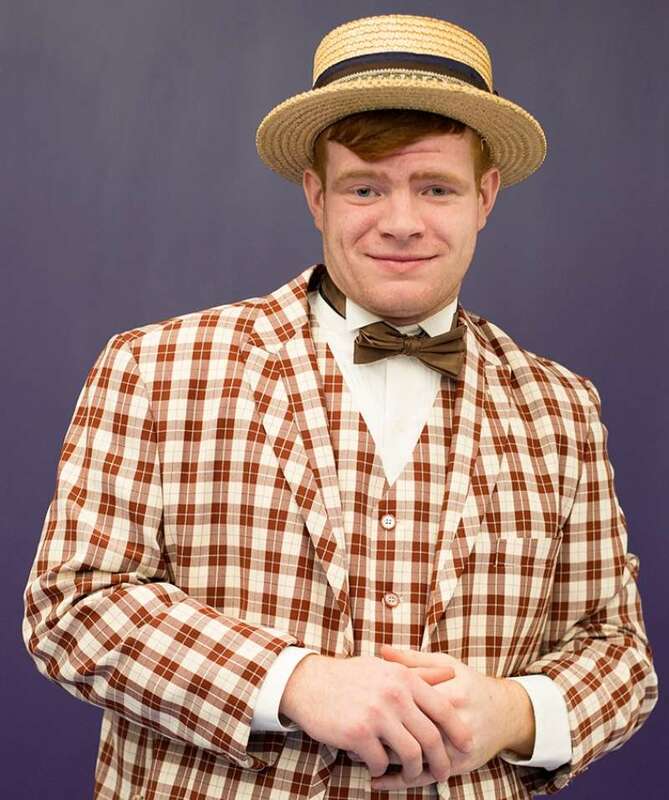 Belton, Texas – The University of Mary Hardin-Baylor College of Visual and Performing Arts will debut the first musical theatre production to be held in the Sue & Frank Mayborn Performing Arts Center, Meredith Willson’s The Music Man. Three performances will be held between Friday, April 12, and Sunday, April 14. The cast of the production consists of UMHB students, UMHB Conservatory pre-college students, and community guests. They have been rehearsing for weeks to make sure every step, every line, and every note is pitch perfect. 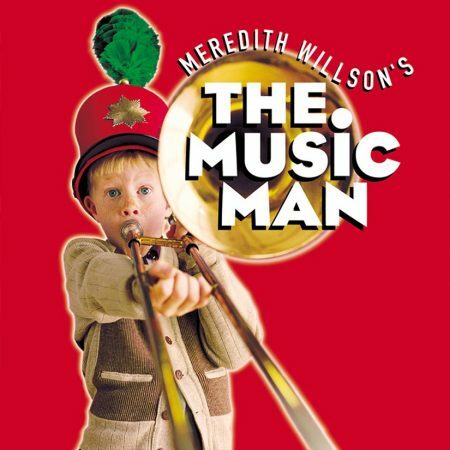 Set in the River City, Iowa of 1912, The Music Man tells the story of Harold Hill (Kyle Parsons), a traveling con man who tries to convince the stubborn locals to start a band by purchasing uniforms and instruments from him. His grift becomes complicated after he develops feelings for the town’s librarian, Marian (Lauren Carlson), who also happens to be the only member of the community not buying what Hill is selling. The performances on Friday, April 12, and Saturday, April 13, are at 7:30 p.m. The performance on Sunday, April 14, will be held at 2:30 p.m. All of these performances are open to the public. Adult tickets cost $25. Tickets for seniors and children between the ages of 8 and 18 are $10. Children under 8 are free, but each child must have a ticket to attend the show. All free tickets must be obtained in person through the box office. Tickets can be purchased by calling 254-295-5999, by going to www.umhb.edu/pac, or by visiting the Sue & Frank Mayborn Performing Arts Center ticket office Monday through Friday between the hours of 1:00 p.m. and 4:00 p.m.
UMHB’s production of The Music Man has been produced under the leadership of Dr. Jonathan Gary, chair of the UMHB Department of Music. 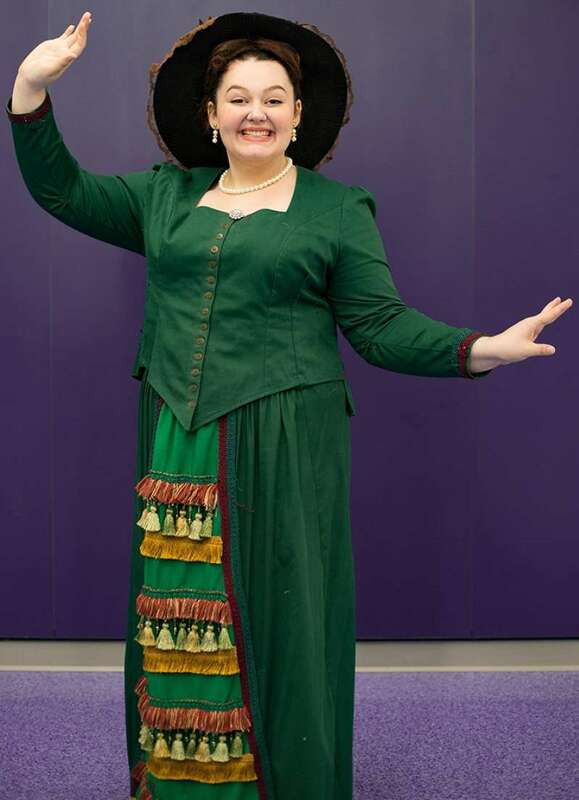 Natasha Tolleso, Theatre Arts Director of Temple High School, is serving as artistic director. For more information, call 254-295-5999 or email pac@umhb.edu.